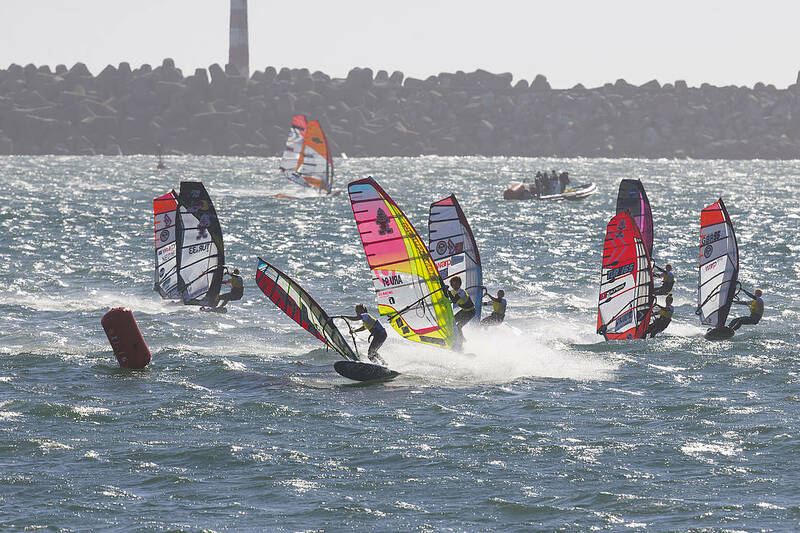 The start of the 2019 PWA Slalom World Tour is now just a couple of weeks away with the Marignane PWA World Cup kicking off on the 17th April. Reigning World Champion - Delphine Cousin Questel (Starboard / S2Maui) - won every event last season to claim her third world title, while she has also won the last 4 world tour events. The 27-year-old is gearing up for the start of the new year as she aims for world title No.4 and we recently caught up with her to find out how she’s feeling ahead of the first event of the year in her home country. Hey Delphine, the start of the 2018 season is just a couple of weeks away, how has your preparation been for the new season and how are you feeling ahead of the first event? My preparation has been perfect as I was in St Barth for the winter and I enjoyed perfect conditions for good training! Workout and maximum hours on the water to push the limit of my gear Starboard and S2 Maui. We also had some training on the spot of the 1st World Cup in Marignane with the French team. I feel ready to compete for another year with all other ladies on the tour. Now I can’t wait for the beginning of the season in France! This year the tour will open with a new addition to the calendar with the Marignane PWA World Cup - how do you feel about having an event again in France? I am just so happy to begin the year in France and especially in Marignane! Since 5 years we had a French event with every time perfect conditions so I cross my fingers to have the same for the World Cup! The organiser has given their best to offer us a wonderful event so a big thanks to them for working so extremely hard! Last year you won all 3 events that must give you a huge amount of confidence heading into the new year? Last year I had a perfect season so the goal for this year is to do the same, but it’s gonna be a hard fight because everybody is training hard to win the World Championship. I give my best to keep my level at the highest possible and I will continue to do my best to win another slalom World title. You have sailed in Marignane before, right? How are the conditions there and what do you think we can expect? Yes I already sailed in Marignane several times and the place is famous for its strong “mistral”. Each time I came we had nuclear conditions and I use my smallest equipment (S2 Maui Venom 5.0m and Starboard iSonic 60)! The spot is very choppy and technical in these strong conditions and I love that! The place is really good for windsurfing and can offer a big show! Thanks, Delphine. Good luck with the rest of your preparation and see you soon in France!